1) Use natural fibers for clothing, like linen, wool and cotton. Kanar is played outdoors and uses fires in various forms to provide light, heat, and for cooking. Accidents can always happen. If your clothes catch on fire, polyester and other man-made fabrics will melt, potentially causing a worse injury, while natural fibers will turn to ash. Natural fabrics breathe better in the hot weather and insulate better in cold weather. Polyester does the opposite. Natural fabrics are not difficult to find. Look for sales at your local craft stores. Often, there are coupons for 50% off one item. Many online sites sell 100% linen for about the same cost as the local stores sell their linen/poly blended cloth, and they often have discounts and sales. Typically they will have a better selection and a variety of weights to choose from. When buying fabric, remember that you're going to be running through woods, which will tear thinner or weaker fabrics. Use heavier weight fabrics, especially on pants, to keep from having to constantly replace your garb. Another disadvantage of lightweight fabrics is they become transparent when wet, especially lighter dyes. 2) Don't be afraid to have bright, colorful clothing. In Kanar, there is a lot of red as well, perhaps because one of the groups out there uses red and black for their colors. What you don't see so much of are yellows, purples, oranges, and all of the colors in between. Make your clothing out of these colors and stand out from the crowd! 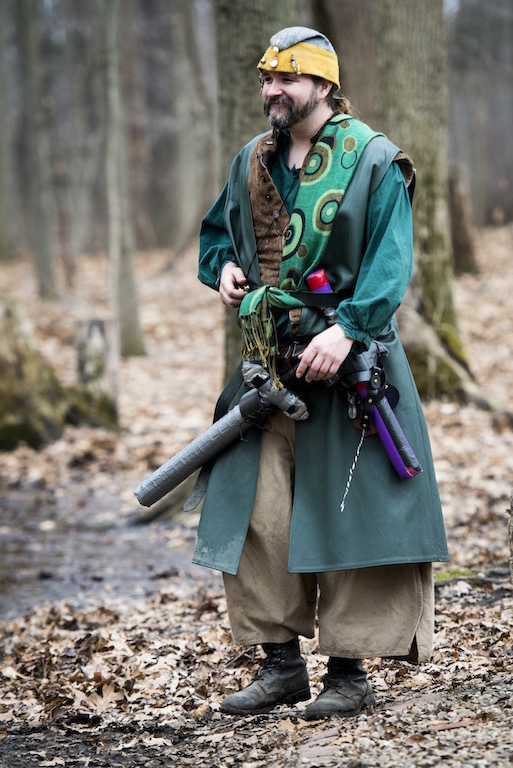 If you know how to sew, making your own beginning garb is very easy! There are hundreds of tutorials and patterns online, or just general discussion groups to find ideas from. If you don’t know how to sew or don’t have your own equipment, it’s possible someone in the Kanar community can help you out, for a fee. Some might even be willing to show you the basics of sewing to get you started! 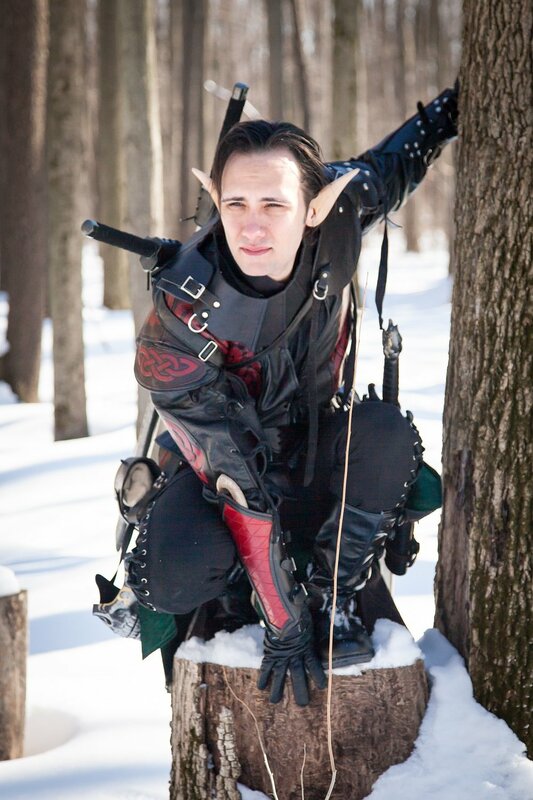 You can find many shops online that cater to the LARP community, if you’d prefer. If you’re looking for suggestions on where to find something, you can always ask on the Kanar Facebook Group. Much as in life, proper footwear is a MUST. If possible, bring one or two backup pairs. Just like socks, wet shoes can make your event go from great to miserable, and the terrain can be rough enough to tear holes through old or weak shoes, and you will inevitably step in a water puddle. 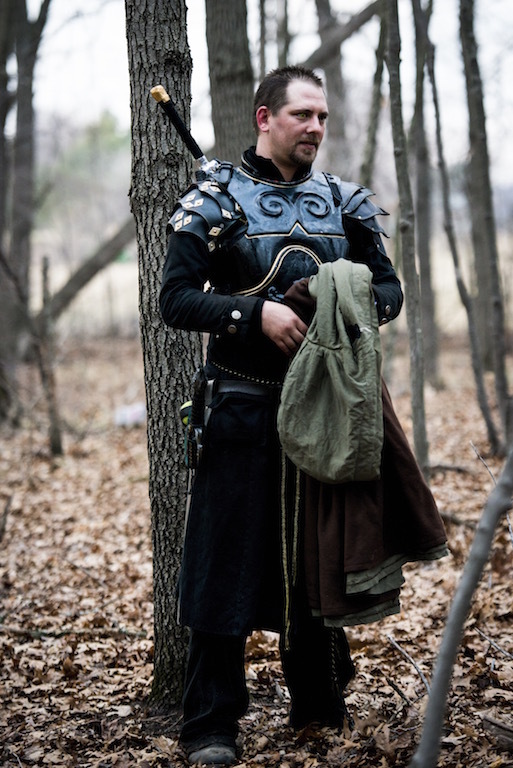 Nice LARP boots can be extremely expensive, and many players save for a few years before shelling out anywhere from $300-$700 for high quality leather boots. Starting out, you can find other options that are much more economic, like hiking boots or even equestrian boots. You’ll want to find a pair with a good sole, ankle support and waterproof qualities. If the shoes don’t come waterproof, you can purchase a silicon spray that will create a lite barrier. This won’t help if the shoe is submerged, but it will keep your socks drier for longer. "I invested in a solid pair of boots from Son of Sandlar and haven't had to worry about wet socks or shoes because of it." -- Tashi O. 5) Simple starter garb doesn't have to be expensive. A pair of oversized sweatpants or scrubs (plain coloring), a tunic and a belt make up a decent beginner's costume. Sweatpants can be easily disguised by the addition of winningas (Viking leg wraps), a long tunic or high boots. If you have some sewing skills, wrap pants and pantaloons are very easy to make, and with natural fabrics, they look amazing! For tunics, there are a couple of different beginning styles to choose from. A simple T-Tunic is the easiest to make (especially if you have old sheets to cut up! ), with only a few necessary seams. If you have some sewing skills, a Bocksten or a bell tunic are historic-based tunics that can be simple to make. Both of these tunic styles are easily lengthened to make dresses, as well. Thrift stores are good places to look for things, as well. An old prom dress can double as a fancy gown for special occasions. Cheap belts can be found there, and wool/leather coats are reasonably priced and can be used for materials. Other equipment can be found there, such as wooden bowls, candlesticks, mugs (be careful with the glass/plastic bottoms - they often leak), silverware, etc. If you’re not sure what you should be looking for, ask the community! eBay, Craigslist, and Etsy are other places to look for items, but they may be more expensive, depending on what you're trying to buy and the level of craftsmanship from a retailer. If you’d prefer to make your own garb, local fabric stores frequently have sales and coupons that can lower your material cost considerably. Fabric stores will also have Simplicity patterns, which have a decent selection of medieval-ish and renaissance-like patterns. Patterns can be found in sales for roughly $1, or even online for free download. Most patterns can be easily modified to make it easier to sew, if you’re daunted by the idea of sewing. 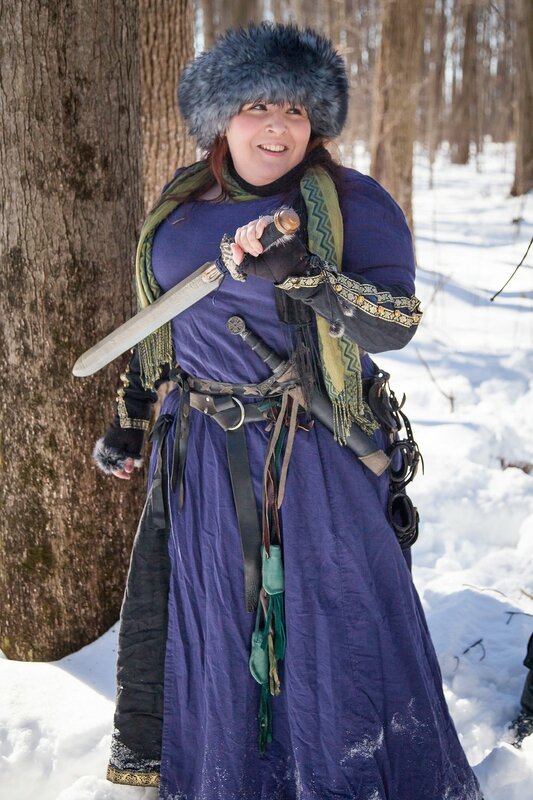 There are hundreds of tutorials available online for making garb, and the Kanar community is full of ideas! 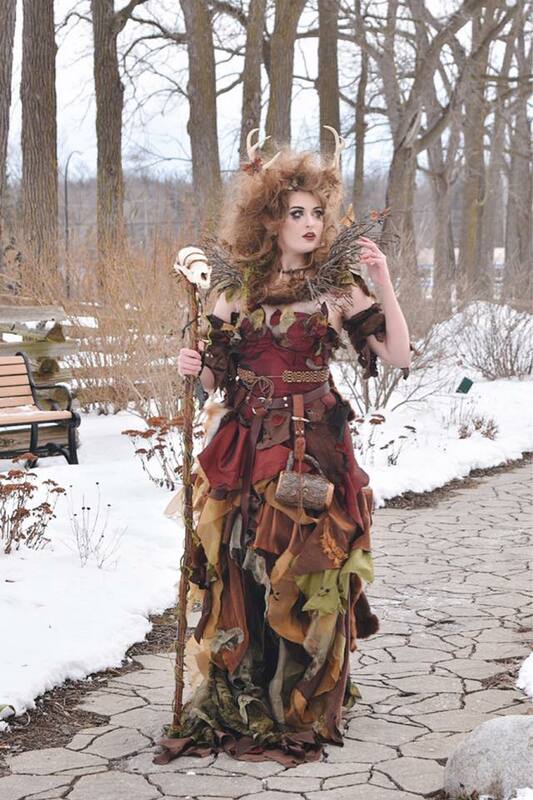 We have many amazing crafters who love sharing their finished products, techniques and tricks for great garb. 6) Get a scabbard for your sword. It might not seem important to have a scabbard for your weapon when starting out, until you get a drink and a bowl of stew from the tavern, and realize you can’t carry all three at the same time. Scabbards are easy to find, easy to make, and some of the cheaper leather goods to acquire. It can be as simple as a metal ring large enough for the blade to rest on, leather fasteners that let it hang from your belt, a belt frog, or a complex series of buckles and leather loops. 7) Don't forget accessories and layers. It’s the little things that bring a kit together. Accessories are the easiest way to make your garb feel like an outfit, instead of a costume. What drives your character? What sort of skills do they have? If your character is a magic user, they’ll have to have a spell book! If you’ve decided to be a rogue, maybe it would make sense to have a lock pick set. Does your character like to write? Maybe they need a journal to carry around. An alchemist would see the value in having potions and empty vials at all times. A healer wouldn’t be caught without some bandages to help stop blood flow until they can perform their spell! Maybe your character only cares about cooking, and carries a salt shaker in their pocket. Does your character enjoy gambling or games? There are any number of small accessories to include with your character to make them well rounded on paper and in person. A must have accessory will be a pouch to carry various items in. You’ll want to look for one that can be securely attached to a belt. Many online retailers sell small leather pouches, and they’re fairly easy to make. Having multiple pouches is also a good idea, to better organize items. Many players utilize a shoulder bag or a pilgrim’s scrip. 8) Dress for the weather. This section is in process of being developed with advice for winter and summer garb. This game is set in a fantasy medieval/renaissance setting. In order to play, you need to make an effort to blend in. This helps create the illusion that you are in another time and place. Some clothing items just don't belong: Tank tops, T-shirts, cargo pants, jeans, trench coats, sunglasses, sneakers, neon coloring and things with huge logos on them. Baseball caps and other modern headgear also do not belong in the game. Please do not wear these things onto the field during game play. Normal eyeglasses are an exception to this rule, since they are medically necessary. Other things to avoid are modern technological devices such as wrist watches, cell phones, radios, beepers, etc. Please either turn your cell phone off or set it to vibrate, and then keep it hidden in a pouch. If you have to use it, please go away from others so you don't disturb their role playing. Rather than using a modern wristwatch, use an analog pocket watch to keep time with. Belt colors have (un)official meanings in-game. Examples of circlets accessories from Jen B.
Circlet – As pretty as that circlet might be, don't wear it. In our game, the only characters who are allowed to wear a circlet are the nobility. Wearing one indicates you are a noble (which no starting character is allowed to be) and if you aren't one, you will find yourself in VERY hot water as it is against the in-game laws. Punishment typically includes arrest and death, with the added bonus of time in the stockade with public humiliation while waiting for your sentencing. Want to read a complete list of the In-Game laws of the land? Examples of a Knights accessories from Jerimy Herpel. Following the above advice, only knights wear spurs and white belts. They also wear large gold chains. However, it is acceptable for non-knights to wear thin gold chains. When you have your costume ready, put it all on (including any makeup or prosthetics required), fill your pouches with coins, and walk around your house or apartment for a while. Sit down and get back up. Spin around in a few circles. Lean forward and to the side as far as you can. Lie down and get back up. Run for a short distance. Eat and drink something. Was your costume comfortable? Did anything fall off or hit you in the face? Is the makeup comfortable? Does it make you break out? What, if anything, should you change? Now is the time to find these things out rather than try to go an entire weekend in an uncomfortable costume.